- Mini-ITX motherboards supported; 1x PCI expansion slot. - Micro-ATX (244x244mm) and Mini-ITX motherboards supported; 1x PCI expansion slot. - Standard ATX (305x244mm) motherboard supported; 1x PCI expansion slot. - Mini-ITX motherboard supported; 1x PCI expansion slot. - Standard (305x244mm) ATX motherboard supported. - Extended (305x330mm) dual Xeon motherboard supported. - Mini-ITX motherboard supported; 2x PCI expansion slots. - 2x Mini-ITX motherboards supported; 2x1 expansion slots. - Mini-ITX and Micro-ATX (244x244mm) motherboards supported; 2x expansion slots. 2x standard PCI expansion slots; 5x Low Profile PCI expansion slots. 6x Low Profile PCI expansion slot. 6x Low Profile PCI expansion slots. 7x Low Profile PCI expansion slots. 4x LowProfile PCI expansion slots. - Micro ATX (244x244mm) motherboard; 4x LowProfile PCI expansion slots. - Standard (305x244mm) ATX motherboard; 5x expansion slots. - Extended (305x330mm) ATX motherboard; 5x expansion slots. - Extended (305x330mm) ATX motherboard; 7x expansion slots. - Extended (305x330mm) ATX motherboard; 5x (7x) expansion slots. - MicroATX (244x244mm) motherboard; 4 expansion slots. - Standard ATX (305x265mm) motherboard; 7x PCI expansion slots. - Extended (305x295mm) ATX motherboard; 7x PCI expansion slots. - Micro-ATX motherboard supported (each tray). 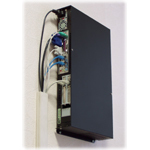 - 3x Low-Profile expansion slot or 1x full height expansion slot (in each tray). 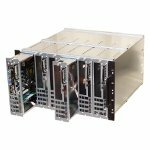 - 4x Low-Profile expansion slot or 1x full height expansion slot (in each tray). - Mini-ITX motherboard supported (each tray). - Up to 16x3x 2.5" HDD bay. - Micro-ATX (244x244mm) and Mini-ITX motherboards supported; 2 expansion slots PCI. - MicroATX (244x244mm) motherboard supported; 4 expansion slots. - Mini-ITX motherboard supported; 2x PCI expansion slot. - Mini-ITX motherboard supported; 1x Low-Profile PCI expansion slot. - Mini-ITX motherboard supported; 2x Low-Profile PCI expansion slots. - Mini-ITX motherboard supported; 1x Low-Profile PCI expansion slot or 2x PCI expansion slots. - Micro-ATX (244x244mm) and Mini-ITX motherboards supported; 2x standard PCI expansion slots; 4x Low Profile PCI expansion slots. - Mini-ITX motherboards supported; 1x Low Profile PCI expansion slot. - Mini-ITX motherboard supported; 1x Low-Profile or Full Height PCI expansion slot.